I reckon things are not always as they appear....Eyes to see the invisible are developed along the way, and are necessary to know and see things the flesh or soul man cannot, nor will ever see. I said in part 2 of this adventure that we are moving from what is, to what will be, going on from here to somewhere out yonder. This is a universal truth for our humankind. Whatever our personal circumstances or age, this truth is one we cannot escape. And for many, here arises not only hopes but also fears. For all our hopes are for the future, and for many, the fears are of what it may bring. Maybe the problem is not with God’s absence or God’s silence. Maybe the problem is with our im-perception, our blindness and deafness. Maybe God is here, now. Maybe God is powerfully at work all around us. But we don’t know it because we can’t see and hear...And then I wonder if many of us, though we may see and hear, fail to listen as we have already talked about in part 3. John said, I have heard Him!..I have seen Him! I have looked into His eyes! My hands have touched Him!... John was there, those that came along later, with their grandstanding and fables and myths and ideas and entertainment and philosophy and interpretations and predictions didn't have a clue. It was all about drawing a crowd feeding their egos and fleecing unsuspecting believers for many of them....John had been there, and they hadn't, he had seen with his eyes, and they hadn't...The testimony of an eyewitness is far more convincing than the philosophies of dreamers and wannabe speculators....John said, "We beheld his glory" (John 1:14). John's witness went beyond hearing and seeing, and looking. He had also "felt Him, and touched Him, and He in return had touched John." My!My!My! I must stop for just a moment and tell you that the Master hasn't changed one iota, You see..Jesus Christ is the same Yesterday, Today and Forever! And He is asking you and I to reach out and touch Him...Taste of the Lord and 'see' that He is good!...John remembered the first time he had heard Jesus speak. The first words that John ever heard Jesus say, according to the New Testament record, were "Come and 'see'. "...So John came and heard and saw....Come and See!...Come and See!...Over time, he "looked" upon Jesus thousands of times and was an eyewitness to all that He said and did. John tells us that he could, in fact, have filled libraries with the things he had heard, seen, and observed in regard to Christ during those amazing years of long ago. The blessings of God to man is based on a condition...We must be hungry. If we are not hungry, we cannot expect to receive anything from God. God's riches and grace are reserved for only one kind of people: those who are hungering. That is what the Holy Spirit is after in our hearts..to fill us with longing for the Lord Jesus until, like the psalmist, we cry from the depths of our heart: "As the hart panteth after the water brooks so panteth my soul after thee, O God". The Spirit of God would have us think less and less about the world and its ways and more and more about Christ...Our hearts, like the hearts of those two disciples on the Emmaus road, must begin to burn within us with longing for our Lord...Luke the first chapter said.."The hungry He has filled with good things".. Psalms 107 said.."For he satisfieth the longing soul, and filleth the hungry soul with goodness".....For you see, In Him is life, and the life is the light of men. For with Him is the fountain of life and in His light shall we 'see' light. A young man whom I love dearly, had a nervous breakdown. His father was a rascal, his sister he loved with all his heart had become the town party girl, his mom was an emotional wreck but doing her best to raise her children in the church where I was pastor. He was twenty years old and along with his sister and mother, never missed being at our services. Suddenly something snapped within and he became depressed. I hung with him and began to try to help him, but it was hard work. "This is a gray world," he would say. "I see no purpose in it. It is dull, meaningless and evil. Its pleasures soon pass. Its pains endure. He said, "I seriously ask myself the question, Is life worth living?" He told me, "Two weeks ago, I went to the funeral of my best friend. I knew him well, and we worked together, talked to each other everyday, cowboy'ed together and hung out nearly everyday. He got killed in a car wreck over the weekend. A bunch of us went to the funeral, each of us thinking, "It could just as easily have been me." That was two weeks ago. They have already replaced him at work. I hear his wife is moving out of state to live with her parents. Two weeks ago he was working fifty feet away from me, and now it's as if he never existed. He said, "Poppa,It's like a rock falling into a pool of water. For a few seconds, it makes ripples in the water, and then the water is the same as it was before, but the rock isn't there anymore. I've hardly slept at all since then. I can't stop thinking that it could happen to me, that one day it will happen to me, and a few days later I will be forgotten as if I had never lived. Shouldn't a man's life be more than that?" This young man had just experienced a wake up call! For all of us, there are times like that when we are brought up short, and we are left thinking disturbing questions like, "Shouldn't a man's life be more than that? "....I was with him constantly for nearly two months. Every conversation was the same, nothing seemed to improve. Then something happened to that young man...One day he came to see me and began the conversation with words something like this: "This is a lovely world. Come outside Poppa and listen to the birds singing. Isn't it a glorious morning? How good it is to be alive! "...It's called catching the light...that is, when...'Deep calleth unto Deep'..and light and mind become one! I read about studies which investigated recovery from congenital blindness. Thanks to cornea transplants, people who had been blind from birth would suddenly have functional use of their eyes. Nevertheless, success is rare. The world does not appear to the patient as filled with the gifts of intelligible light, color, and shape upon awakening from surgery. Light and eyes are not enough to grant the patient sight. The light of day beckons, but no light of the mind responds within the open eyes. The young man with the nervous breakdown I spoke of did not will himself to his sudden change of attitude. It was not a choice he made...Something happened to him within...So it is when we experience Christ's presence in our lives. The world seems to change. But it isn't the world at all.....We are changed by a touch, by a light. Knowledge is absolutely different from light. Those who have light have the knowledge, but those who have knowledge do not necessarily have light. There is a big difference between a blind man's knowledge of colors and a child's experience of them. A blind man may have the knowledge of colors, but he has never seen them. A child may not have the knowledge of colors, but he knows what colors are from his experience. It is sad that believers today pay so much attention to knowledge instead of light. Poppa wears a dog tag around my neck to inform para-medics and emergency folks of a few afflictions I have been blessed with. One summer my grandson was spending time with me, and as all boys do, he was acting up one morning, so I had to correct him...After our 'come to Jesus meeting'...I knew he was needing some action so I asked him to go to town with me. I needed a few office supplies and he is a pure delight and much company to me, when he's not being a little jerk. I was flabbergasted, but he continued..."I was throwing rocks at Poppa's doves this morning and he tore my hiney up!"... "But I know he loves me"..The young lady asked him how he knew that?..His answer, "Because my knower told me so, and my Poppa takes good care of me..but he don't change from summer to summer, he put the hurt on me last summer too. "..She asked him, does he do that often?...He said, "no ma'am, he just mostly loves me and gives me stuff". She then asked him, "did you learn anything"?..He said, "Yep...My Poppa would wade through hell for me if he had to..and He'll do just what he said he'll do"..."and he don't change"...My!My! Where that lad got all that I can't say...But I'm happy to report he is preaching the Gospel today! There will be tears as well as cheers at the judgment seat of Christ because "if we deny him, he will also deny us." In view here is not the Great White Throne. That is where sinners are to be arraigned, exposed, condemned, and banished to the lake of fire (Rev. 20:11-15). The reference here is to the judgment seat of Christ, where God's people are reviewed, rebuked, and rewarded. Those whose souls have been saved, but whose lives have been wasted, will suffer loss in the millennial kingdom (1 Cor. 3:12-15). Second Timothy 2:12 does not imply an absolute denial of us as God's children. Peter denied the Lord with oaths and curses; yet, the Lord sought him out, restored him, and used him (Matt. 26:69-75; Luke 24:34; Acts 2). The denial, here, relates to rewards, not salvation, and salvation and rewards are not the same. Our decisions should not be influenced by our circumstances, whether threatening or thrilling, but by the promise of the Lord's return, by the certainty of the judgment seat of Christ, and by the fact that spiritually we are already on the other side of death. Paul said..."If we believe not, yet he abideth faithful: he cannot deny himself." 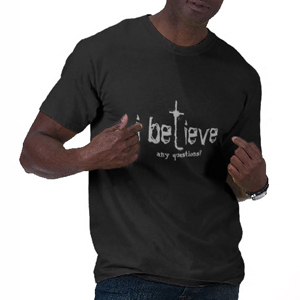 The word translated "believe not" refers to a believers unfaithfulness. The sad fact is that believers are often unfaithful; Paul cites the example of Demas in 4:10. Paul did not want Timothy to become unfaithful. Even when we disappoint the Lord, He remains true to His Word and His character and is faithful in His dealings with us. Note, for instance, His dealings with John Mark, who disappointed the Lord at Perga (Acts 13:13). Paul felt Mark's defection keenly (15:36-41), but the Lord did not write Mark off. He used Barnabas, Peter, and other believers to bring Mark back into useful ministry (2 Tim. 4:11). Timothy was quite familiar with this case history. Our God is like an ever flowing artesian well and it is unceasing. His 'nature and property' is to love...His past is the prophecy of His future....He will always be what He has been, and always do what He has done. This is how we must think of our Lord now, in His attitude towards us. He is no more parted from us at the Throne than He was from us at the Cross. He descended into 'the lower parts of the earth,' and His love lived on, and so it does now, when He has 'ascended up far above all the heavens.' His Love knows no difference of place, conditions, or functions. From out of the blazing heart of Glory the same tender face that bent over sick men's pallets, and turned toward Peter in the judgment-hall. The same hand that holds the sceptre of the universe is the same hand that was nailed to the Cross, it is the same hand that was stretched out to Peter when he was ready to sink. The breast that is girted with the golden girdle of priestly sovereignty is the same tender breast on which John's happy head rested in placid contentment. All the love that ever flowed from Christ flows from Him still....To Him, 'whose nature and whose name is Love,' it matters nothing whether He is in the house at Bethany, or in the upper room, or hanging on the Cross, or lying in the grave, or risen from the dead, or seated on the right hand of God. He is the same everywhere and always. He said, 'I have loved thee with an everlasting love. '...Will you say Amen? That is the message He preached to the disciples and Apostles when they were struggling to understand His departure...We, too, can have our share in that message, which came like morning twilight before He shone upon their darkness. To them it proclaimed a love which was stronger than death. To us it declares a love which is stronger than all of what we see in our present circumstances....continued..